Bangladesh saw massive growth of newspapers as well as the digital media in last few years. Pulack Ghatack analyses the situation of media in Bangladesh vis-a-vis the issues and challenges posed by the growth of digital platforms. In 1972, Bangladesh had nearly a dozen daily newspapers. By the end of 2017, there were more than 1,000 daily newspapers. I don’t know whether it is surprising to have over 3,000 regular publications within a 147,570 square km area but that is Bangladesh today. While newspapers in US, Canada or UK have been dying out in last two decades, the number of newspapers and circulation kept increasing in Bangladesh. The country has 45 private satellite television channels and three state-owned TV channels. The number could surpass a thousand, if the government had accepted all the applications of the potential investors. There is a long queue of these demanding licences. In digital media, at least 2,018 online news website had applied for registration with the government as of January 2018. But there are thousands more news based websites, which don’t apply for registration. Moreover, almost all the daily newspapers have websites and epapers. So it is a proven truth that the growth of digital journalistic platforms i.e. online media is faster than the growth of print media. But the growth of digital media could not hamper the growth of print media. Digital versions of some newspapers are getting more readers than that of their printed versions. But the economy of newspapers still stands on the printed versions. Traditional print ads in newspapers and magazines are still the primary outlet for advertising campaigns. …But both circulation and earnings of newspapers lag far behind the online media, when all digital platforms like Google, Facebook, YouTube and mobile SMS are added to the list. More than 147 million people, out of the 160 million population use mobile phones. There are 80.83 million active Internet users in the country, of whom 30 million are on Facebook. Facebook and Google have no offices in Bangladesh and remain out of the purview of Bangladeshi laws. 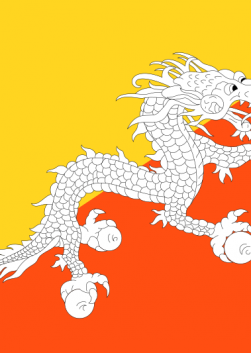 Despite that they deal with the lion’s share of the country’s digital economy. The government this year has imposed taxes on digital advertisements on the global digital media outlets by local firms following pleas from the Newspaper Owners’ Association of Bangladesh (NOAB). Newspapers speculate that the companies in Bangladesh spend nearly Tk 10 billion (1USD = 83 BDT) every year on digital marketing on Facebook and Google to reach their target audience. Of the sum, 50 percent goes to Facebook and the rest to Google and others. E-Commerce Association of Bangladesh (E-CAB) estimates that the e-commerce vendors of the country are spending around $150,000 per day in digital advertising in Facebook. Each Facebook-based e-commerce business spends at least $5 to $10 every day boosting their contents. There are about 10,000 to 15,000 such businesses at present. Major e-commerce organizations spend $8,000 to $10,000 monthly for digital marketing. It is clear that Bangladeshi news portals are still faltering to compete with global giants. The local online media themselves need to pay to Facebook and Google for boosting their articles. They need to get local company’s advertisements via Google Adsense. There is no official data on advertising in Bangladesh. It is believed that the country’s total advertising market is worth US$ 2.40 billion (BDT 20 billion) a year. Some 70 percent of it is assumed to be government advertisements. 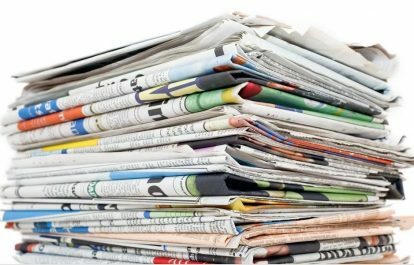 Currently, 434 newspapers benefit from government advertising and there are innumerable irregular magazines of different organizations, which also get a share. There are only half a dozen newspapers in Bangladesh, which are making profit after paying proper salary to their employees. These are what we’d describe as good quality newspapers, upholding journalistic ethics. More than two dozen dailies are operated under a ‘low cost, no loss’ policy. Huge salary discrimination persists in radio and television channels, some of which are surviving on subsidy. Almost all the channels are news based, except four which prioritizes entertainment and sports over news. There are at least five online media which are serious in their efforts to maintain journalistic quality. Of those, only one is apparently sound in economic health. 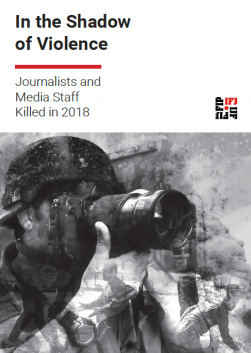 It is difficult to assess the actual number of journalists across Bangladesh, as it has become difficult to define the profession itself, the IFJ said in its press freedom report this year. Many bloggers in Bangladesh have been showing their journalistic capabilities by posting editorials or news commentaries without earning anything from this industry. Yet they are still not acknowledged as journalists. Besides the urban centres of Dhaka ( which has over 5000 journalists)and Chittagong (500 journos), there are only about 600 journalists, who are solely or largely dependent on journalism. Others bear the identity of ‘journalist’ to get some facilities in society and from the state. There are about 15,000 journalists working in the rural areas, most of whom are not paid by their employers. Barring a few, they are involved in dual professions. Many of them are involved in business, while some others are teachers in educational institution. In addition to sending news reports, the local correspondents of the dailies have to collect advertisements from local sources, mostly from government offices, and they get a percentage of revenue from the advertisements collected. Some of them are also involved in one kind of rent-seeking to survive. Despite all the problems, obstacles and uncertainties an immitigable commitment of the folk –to become journalist and remain journalist– is explicitly visible. So, though we have no room to become self-complacent over the country’s vibrant media, we have the scope to hope for the best. Someone in Bangladesh may be subject to two-year jail for publishing a defamatory content in a newspaper. But would get a 14-year jail for the same thing posted on a website, under the Digital Security Act-2018. It is clear that Bangladesh’s government is becoming more serious to tame the digital media over the print media. Politicians, bureaucrats and power-wielders may be blamed for becoming afraid of a super effective digital vigilance by the society. But fake news and propaganda are problems for the media itself by questioning the credibility of the industry. The existence of thousands of non-journalistic journalism platforms is a case in point. What can be the remedy? The answer would be ‘better journalism’. And, you cannot ensure better journalism without paying journalists properly. This unplanned and unaccountable growth of media is yet to bring any good for Bangladesh. Instead it has become a burden. Digital media and digital investment need not be tamed by harsh laws, but must be made accountable through more robust policy and fair salaries for journalists as a means to build quality journalism as a return. People should be set free to run media outlets. But they must obey compliance rules ensuring congenial working environment and payments to the workers. When an employer would pay high, s/he will seek quality in return. None would go for setting up media houses without assessing its economic viability, if s/he is legally bound to pay salaries as set by National Wage Board award and abide by compliance rules. 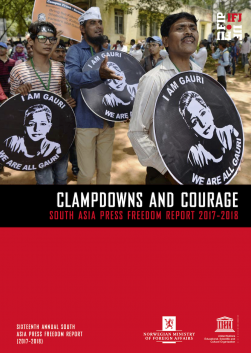 A proper law is necessary to safeguard the interests of journalists and workers, stipulating that any noncompliance of wage board award is a punishable offence.